Seal Rescue Ireland is a Not for Profit organisation and we always appreciate help! You can help us by donating money or goods which are useful to us, you can volunteer as a rescuer, driver or help at the sanctuary, and you can also help by adopting / sponsoring a seal in care. You can also organise fundraising events. You can Help the Seals! Please click on the prompts below for more information! Make a secure donation online or view our bank details. Donations go directly towards the seals care! 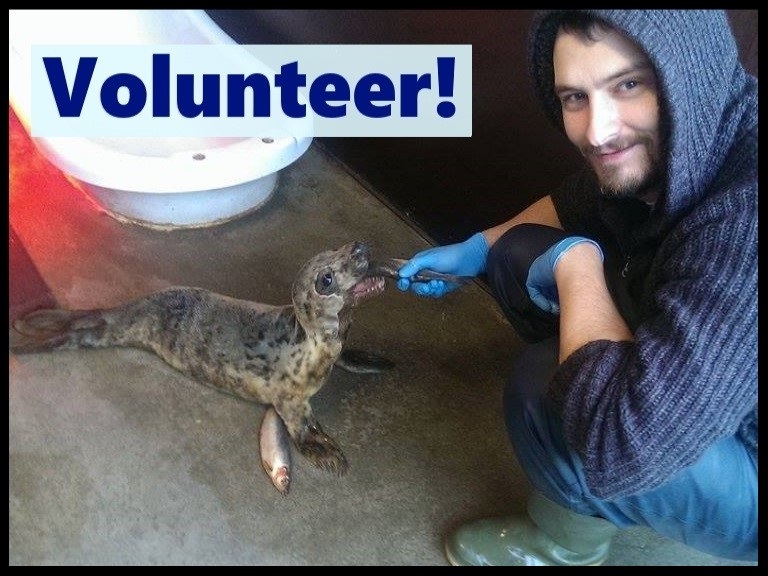 Become a member of Seal Rescue Ireland to help support us and receive loads of benefits! Your adoption will directly help the pups in our care by aiding us to buy fish and medicine. Become a "Seal Rescuer for a Day" with our special behind the scenes program and get amongst the seals! We rely on both local and international volunteers for a wide range of jobs. Can you help us? We are always in need of bits and pieces to help in the daily running of the centre. View our wish list here! Sponsor a kennel or pool at the centre and help every seal that steps their flipper in through the door! Are you tying the knot soon? Consider choosing us to donate to instead of traditional wedding favours! Whether you are trying to get sponsorship for a challenge, want to raise money for a good cause with your work mates, or want a unique way to celebrate your birthday; creating your own fundraiser for Seal Rescue Ireland is a fantastic way to help support our work throughout the year! Contact us on 053 942 4980 to discuss.